PetChatz has a lot of unique components but lacks some important features. Let’s start with what it has. 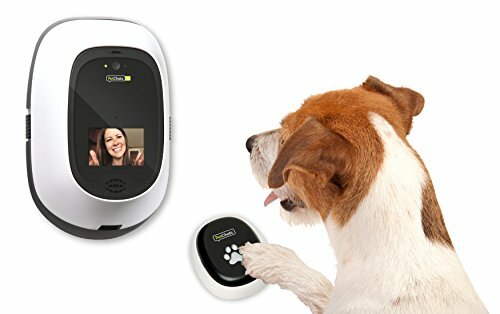 PetChatz is the only pet camera out there that has both two-way audio and two-way video. So not only can your pet hear your voice, they can see your smiling face, too. 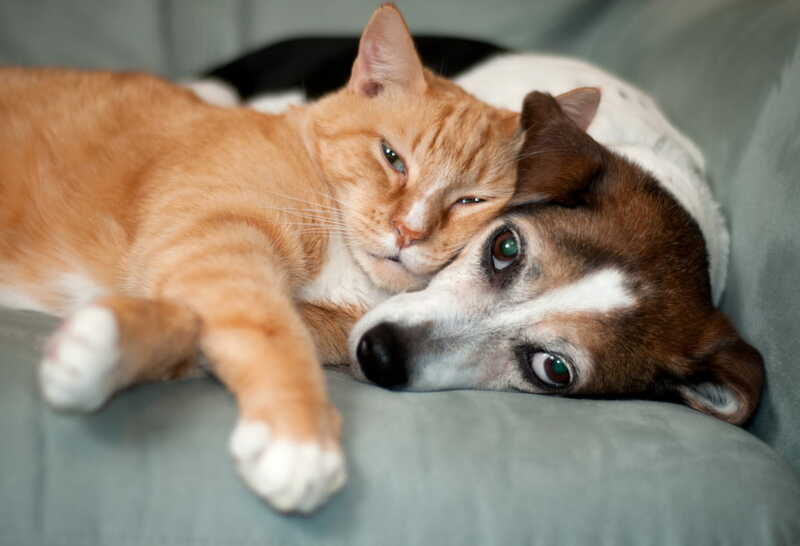 From the app you can easily record, download, and share photos and videos of your pets while you interact with them. Like some of the other cameras on our list, PetChatz lets you reward your cat or dog with treats. It also sells additional accessories separately, such as PawCall, which lets you play games with your pet while you’re away, making it truly interactive. One fairly simple thing that I like about PetChatz is that it has a web browser interface so you can keep a window open on your work computer rather than running the app all the time. This is surprisingly rare in the pet cam world, and it’s strange to me that more cameras don’t have this feature. Especially because none of these apps are perfect just yet, I’d like to see more of them follow suit. A couple of PetChatz’s fun extra features are the PetScentz and DogTV. PetScentz (which can be purchased only through PetChatz) is a feature that releases essential oils into the air to help your pet stay calm. DogTV is pet-friendly programming for your pet to watch while you’re away. While these are interesting concepts, they drive up the camera’s price and may be overkill for some pet owners. Still, if your pet enjoys distractions and responds to external sensations, these features may make the camera worth the money. PetChatz lacks a bit in its camera. It has the same 720p resolution as the other cameras on this list but doesn’t have a wide field of view, night vision, or digital zoom. None of these are crucial to simply watching your pet, but I’d personally rather have a high-performance camera than some of the other nonessential features. If you want a way to check on your pet, reassure them, and toss some treats their way, PetChatz is an all-around solid option. Check out this video of Penny the dachshund enjoying some treats to get an idea of what it’s like to watch your critter on PetChatz. 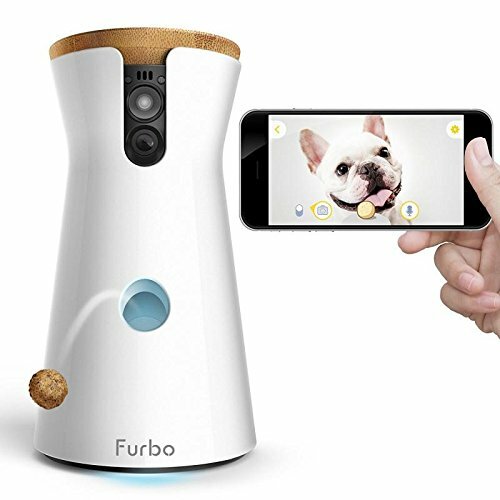 Great for vocally inclined pups, the Furbo dog camera sends barking alerts to your mobile device so you can tune in, help them calm down, and reinforce their good behavior with treats. Furbo works with Bluetooth, which you can set to disable your camera when you enter the house, ensuring your privacy as soon as you walk in the door. If you have an active or mischievous pet, the free-standing, vase-like Furbo may not be for you. It comes with 3M pads to attach it to a surface, but that may not deter particularly curious pets from trying to knock it down and getting at the treats inside. I’d suggest putting it up high if you can. While it’s an overall good product, the Furbo has some drawbacks. Most significant is its mobile app, which has middling reviews on both the iTunes and Google Play stores. Because the whole point of the product is checking in on your pet from your mobile device, a less-than-stellar app can be frustrating after spending nearly $250 on a camera. With its barking alerts and convenient night vision, however, the Furbo is a pretty convenient way to keep your dog calm if you’re often away in the evenings. The Pawbo’s standout feature is its laser. 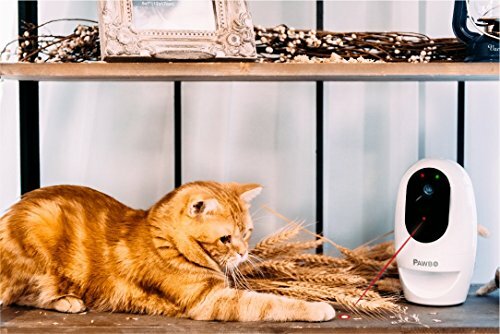 You can control the laser from your smartphone or initiate preset laser games to help your cat get exercise throughout the day, then reward them with a snack from the treat dispenser. You can capture all this in a photo or video clip and share it across social media. Of all these cameras, the Pawbo has the best app rating, with rave reviews on both the iTunes and Google Play stores. Because the whole point of these cameras is to watch your pet from your mobile device, the strength of Pawbo’s app is a significant advantage, especially considering the mediocre performance of many similar apps. On the downside, the Pawbo doesn’t have night vision or any kind of motion or sound detection. Without these features, it remains primarily an entertainment device rather than a pet security device. The Petzi Treat Cam is a wall-mounted, one-way camera that allows you to see and speak to your pet and give them little treats. It has only one-way audio, meaning that you can talk to your pets, but you can’t hear their barks and meows. It’s also the only device on here that can’t record video—but it can snap photos. At the time of this writing, the Petzi app has around 3½ stars (out of five) in the iTunes and GooglePlay stores. That’s better than the Furbo apps, but still low for a device that relies on an app to function. Most of the complaints revolve around difficulties connecting the app to the camera, though some customers mention that Petzi customer service is helpful when called. 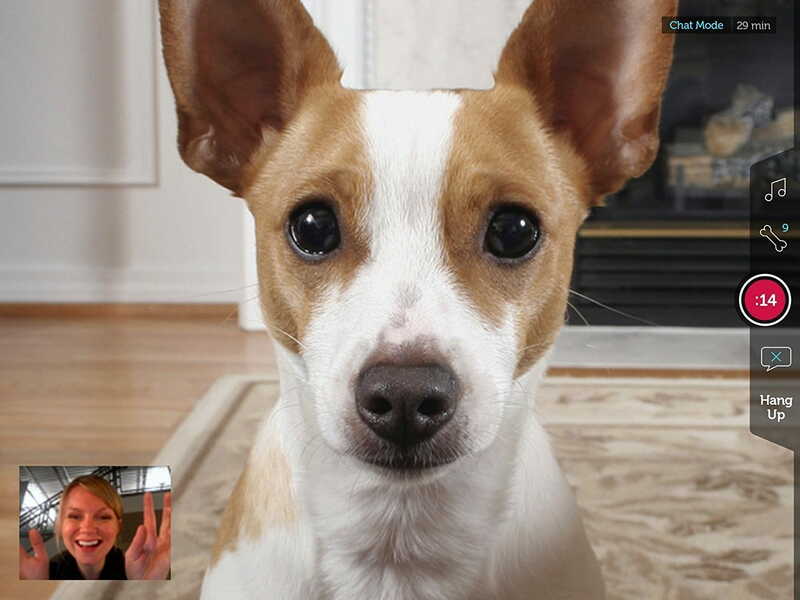 Once you successfully connect the app to the device, Petzi performs as advertised, doling out treats, taking pictures, and facilitating chats. The price tag of over $150 is a little steep for a device that doesn’t have some key features, but it’s a product worth watching for future improvements. If you have an older pet who is sensitive to temperature fluctuations, go with the Motorola Pet Scout66. It has a built-in thermometer and will send you alerts when it’s too hot or too cold for your four-legged friend. You can then either get home to find out what’s caused the temperature to fluctuate or adjust the temperature remotely if you have a smart thermostat. Because it has both motion- and sound-triggered notifications, the Pet Scout66 is the only camera on this list that could reasonably be used as a home security camera as well. The Pet Scout66 is the most basic camera on the list—it doesn’t have any interactive features like a treat dispenser or a laser for cat play, but it’ll clue you into what’s going on at home while you’re away, and it won’t break the bank. If you don’t care much about saving your photos and videos (or if you already have other Motorola products and a subscription to its cloud service), the Motorola Pet Scout66 is a reasonably priced option to keep an eye on your pet while you’re away from home. A regular security camera is a good option for keeping an eye on your pet as well. 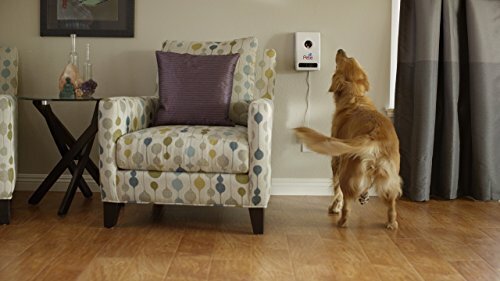 These cameras won’t have pet-specific interactive features like treat delivery, but they’ll let you check in throughout the day and pull double-duty to protect your home. Look for something with similar video features to these pet-specific cameras, such as motion detection, two-way audio, and night vision. You’ll also want something that streams directly to your mobile device or desktop computer, preferably without a monthly subscription. The Arlo is our favorite DIY camera, and it fits all the criteria for a good pet cam alternative. Read more about all your camera options in our review of the best security cameras. The pet cam you choose will depend on you, your pet’s behavior and temperament, where you want to put the camera, and what you hope to achieve with the device. Every animal is different, and each pet will respond differently to a disembodied voice suddenly present in a usually quiet room. Many reviewers note that their pets came to love hearing their person’s voice throughout the day, but some said that either the device frightened their animal or their animals ignored it entirely. Consider your pet’s temperament when deciding on a style of camera. Another important factor to consider is where the device will go. I prefer the wall-mounted designs because they don’t take up any precious table or floor space, they won’t get knocked over, and they can more easily be placed out of a curious animal’s reach. If you do go with a freestanding model, consider attaching adhesive pads, even if your critter is generally docile. If you have an animal who’s known to attack and dismember toys, I’d avoid a freestanding model altogether. These cameras are all designed to withstand some battery, but with certain animals a pet camera could still turn into a pricey chew toy, especially if it’s of the treat-dispensing variety. Overall, the two best value cameras on this list are the Pawbo and the Motorola Scout66. The Pawbo has a good app, a laser, and a treat dispenser, making it a slightly better value than its closest (but more expensive) competitor, the Furbo. 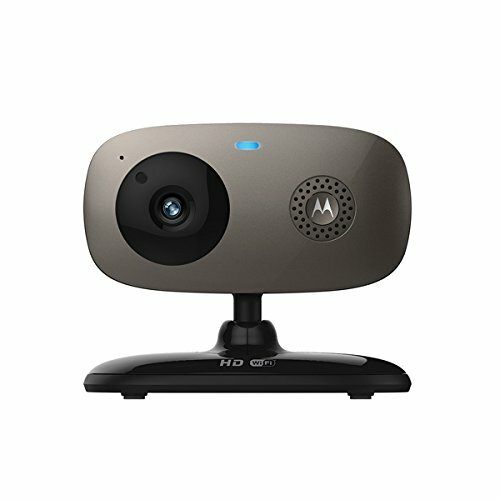 The Motorola Scout66 has the fewest features of all these cameras, but at just under $100, it provides sufficient monitoring for checking on your pet. Remember that none of these cameras are substitutes for quality time spent with your pet, especially if they have special emotional needs. Even though some of them, such as PetChatz, market themselves as training devices, any training or time spent using these should only supplement—not replace—consistent in-person interaction and care for your pet. 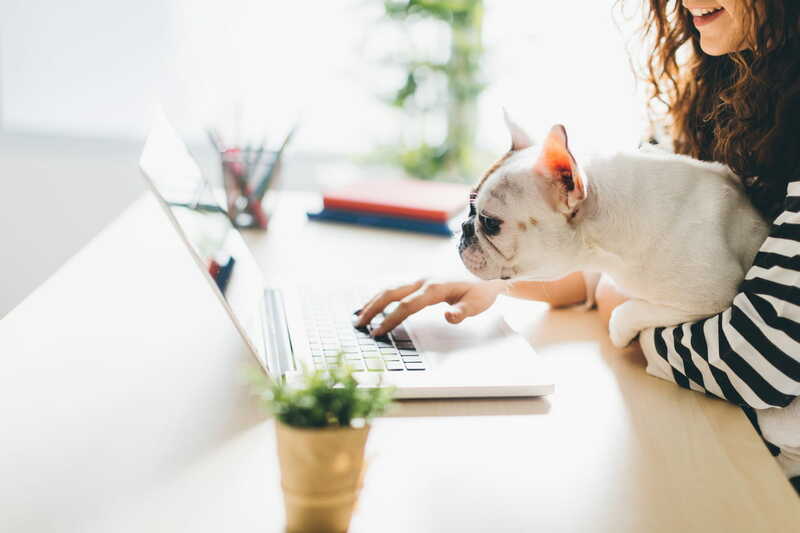 The right pet cam can help you fill in the gaps when you’re extra busy and allow you to focus on the task in front of you knowing your pet is safe and sound at home. What do you think of pet cams? Do you have one? Which features are most important to you?